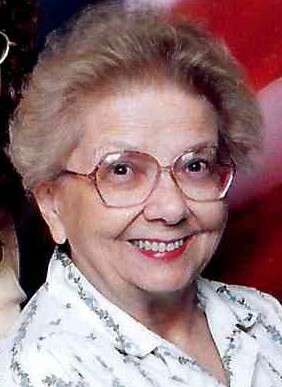 Audrey Ann Warrick, 82, of Mt. Vernon, IN, passed away on Saturday evening, March 30, 2019 at Mt. Vernon Nursing & Rehabilitation Center. She was born on November 27, 1936 in McLeansboro, IL the daughter of Russell and Lula (Elder) Pemberton. She married Elwood (Woody) Warrick on June 25, 1954 and he preceded her in death on February 13, 2003. Audrey graduated from McLeansboro High School, where she was active in band and theater. She was a former parking meter attendant. She worked for many years as secretary to the Street Department and retired from there. She enjoyed writing poems about life and was an excellent pianist. Mrs. Warrick is survived by children, Douglas Warrick, Luann Warrick (fiancé, Randy Adams), Tina (Brett) Newman, Bill (Mary) Warrick and Phyllis "PJ" (Ray) Muller; grandchildren, Joshua Whitlow, Amber (Ben) Hanson, Ryan (Regina) Smith, Katie (Rico) Santiago, Jeremiah (Amanda Danielle) Daniels ; Shannon Beno, Matthew Warrick, Rex Warrick, Elizabeth Warrick, Jason Muller, Jeremy Muller, Dax Newman, Megan Newman and Carmen Barnett; several great-grandchildren, one great-great grandchild; sisters, Phyllis Greer and Mary Braun; sisters-in-law, Carol Pemberton and Barbara Warrick Kimble; and Stephanie West "Bonus Daughter", Joselyn Hicks "Special Friend", and Sue Rose "Her Hero". She was preceded in death by her husband, Elwood (Woody), parents, and brothers, Roland Pemberton, John Pemberton and Bill Pemberton, and her precious dog, Chief.